The human body requires energy to function which is provided by proteins, carbohydrates, and fats. Since carbohydrates are the most readily available, most people are sugar burners; they rely on carbohydrates and sugars to keep the brain and body running. But because our bodies cannot store carbohydrates in large amounts, we have to continuously replenish our supplies. The average person can only store 300 to 400 grams of glucose in the muscles and 60 to 90 grams of glucose in the liver. When the liver and muscles are full, excess glucose is converted to fat and stored in huge quantities as adipose tissue and visceral fat. To put this into perspective, the human body can store about 2,000 calories in carbohydrates and over 40,000 calories in fat! Becoming “fat adapted” means resetting our body back to FAT as the primary fuel source. This is the fuel we were designed to run on and that is why we have so much of it! What are the benefits of becoming fat adapted? Becoming fat-adapted means that you can burn more fat, efficiently. And, you don’t always need to reduce your caloric intake to do so. There is a general feeling of satiety that comes from eating a high fat diet. This means that you are able to go for longer intervals between meals. Instead of eating every three hours, you will be able to switch to five or six hour increments. One of the best benefits of becoming fat adapted is that you no longer experience the highs and lows that come from burning glucose as fuel. This totally disappears and instead you end up with sustained energy, all day long! This is a relatively new concept in fitness and nutrition. It the ability to switch back and forth between glucose and fat as your fuel source. It you were to find yourself in a situation where you had no food for a day, how well would you adapt? Would you be able to use your fat stores as a source of energy? Missing a meal or extending an overnight fast becomes easy to do and is an excellent example of what happens when you begin to burn fat as fuel. To learn more about Intermittent Fasting, check out our recent blog post HERE. And finally, when you burn fat as fuel you lose your carbohydrate and sugar cravings. Surprisingly instead of craving high carb foods, you will likely crave more protein and fatty foods like bacon, avocado and shrimp. 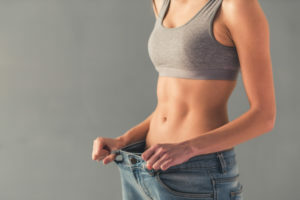 In order to experience these benefits, you need to commit to consuming a very limited amount of carbohydrates (20-25 grams per day or less), increase your fat intake so that you body releases more fat digesting enzymes, and consume sufficient, but not excessive, high quality protein. As you begin to eat in this way, you will experience these amazing benefits in addition to optimal body composition, if you combine this nutritional approach with strength training. The fat adaptation process can take anywhere from 4-6 weeks, or more. If you would like to learn more about the nutritional approaches we offer at Fitness Transform, request a FREE consultation today!